THE Democratic Republic of Congo (DRC) has requested the Zambian Government to relax its staple food exportation regulations to allow citizens and businessmen in that country buy maize and mealie meal from Zambia. 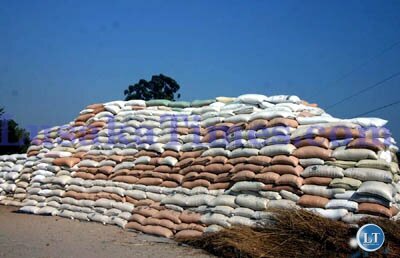 DRC Minister of Mines Martin Kabwelulu yesterday appealed to President Edgar Lungu to allow Congolese nationals to come to Zambia to buy maize and mealie-meal because the grain in that country was in short supply. He said Zambia and DRC had a lot of commonalities in culture and traditions, and had co-existed for a long time in both trade and bilateral relations. Mr Kabwelulu told President Lungu that DRC President Joseph Kabila had tasked him to have discussions with the Zambian Government to see how best Congolese nationals could be buying maize and mealie-meal from Zambia. He said he had been tasked to seek solutions on how Zambia could consider exporting mealie-meal and maize to the DRC because the grain was the staple food for the two countries. Mr Kabwelulu said this when he paid a courtesy call on President Lungu at State House yesterday. “Our people, in Zambia and the DRC, share common traditions, cultures, blood and bilateral relationships. We have come to talk about trade in maize and mealie-meal. ‘‘As you know, maize is our staple food for both Zambia and the DRC. As such, President Kabila has tasked me to come and find a solution on how best we can be trading in essential commodities especially maize and mealie-meal,” Mr Babwelulu said. And President Lungu said trade between Zambia and the DRC should be improved and stated that the exportation of maize and mealie-meal to the DRC should remain legal. President Lungu said it was only fair that the two countries shared common goals because Zambia had enough maize but that the sharing should always be done within the confines of the trading laws. President Lungu said the trading of maize and mealie-meal between Zambia and the DRC had not been legalised and encouraged the citizens of the two countries to continue the culture of sharing. The President said there was need for Zambian and the DRC citizens to follow procedure in their trade. He said Zambia and the DRC were both growing cassava apart from sharing copper deposits and that the two countries should therefore continue to assist each other in times of need. “We are one people and you cannot tell the difference between a Zambian and a Congolese. We have to share what we have and Zambia has enough maize, but we must encourage the observation of the laws in our trade. 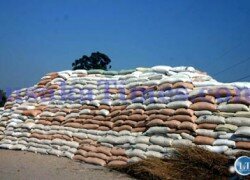 ‘‘The trading in maize between Zambia and the DRC must be seen to be legal. We are the same people and we were only separated by colonialism. I have said that essential goods that exchange hands at our borders should be done within the confines of the law,” President Lungu said. In the 2014/2015 farming season, Zambia emerged as the largest maize surplus country in the region, eclipsing South Africa, traditionally the region’s dominant maize exporter in the Southern African Development Community (SADC). Zambia was at the top of the surplus chart, reaping over 880,000 metric tonnes with Tanzania at 810,000 metric tonnes. At the bottom of the list of the countries with a poor yield in the region were Malawi with 2.8 million tonnes and Zimbabwe with 1.49 million tonnes.